How can i sell my home for fair market value price? DC Fawcett, a real estate expert who has years of experience in this industry guides you an easy way to sell your home without an agent. Selling house is a life changing decision for many. Due to various reasons like relocation, divorce, health issues and financial problems, people sell their houses. But if you are first time home seller then probably you may not be aware of the available methods to sell your home. Hiring a real estate agent to sell your home might seem to be a fair option. But it has its own drawbacks too. They might charge you 5-10% of brokerage commission charges to sell your house. Sometimes even after paying such a huge sum, they may delay the process and take long time to close on your house. To avoid such hassle, you can take the whole responsibility in your hands and sell your house by yourself with the easy tips by DC Fawcett. Many new investors have benefitted from DC Fawcett real estate techniques and he guides his students to invest in virtual real estate. DC Fawcett virtual real estate investing club (VREIC) teaches what working best with real estate industry nowadays. Keep your emotions aside while pricing your home. Overpricing the house may avoid the buyers totally and they may not even want to view the house which has been priced unreasonably. You can avoid overpricing issues by hiring an appraiser or real estate expert. An appraiser or real estate expert would know the market value and also the appreciation value of your house. Hence they would never make a mistake in pricing your home. You can also compare the neighbourhood home prices in multiple listing websites and then price your home accordingly. Depersonalizing your home is very important since your home must look like someone else place. Remove all your personal properties from the house including your pets, wall photos as they may represent your presence in the house which make the buyer to fees uncomfortable. Step 2: Find an efficient marketing channels to sell your house quickly. 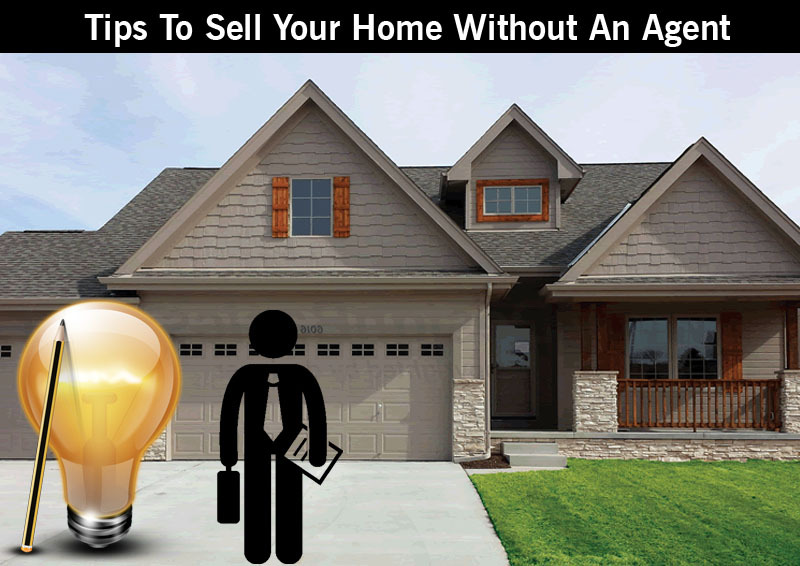 Besides the appearance of the house and other factors, you have to show the people that you have a house to sell. Choosing the right marketing channels and reliable multiple listing websites makes the job easier. Step 3: Try to convince the buyers by telling the advantages of having your home. For example, you can explain the ongoing construction of school, colleges and other building etc. Step 4: Get your house ready before showing it to a buyer. Enhance the curb appearance of the house by simple decorations. These are some of the basic bad home staging works as reviewed by Dc Fawcett. Sellers can benefit by reading these. It is absolutely essential to stage your home well. Home costs are ascending at a quick clasp, and are available to be purchased with very low sale-listings, that makes flipping a house more cutthroat than any other thing, yet it additionally adds conceivably record returns for speculators. In case you’re prepared to put in the work, there is surely great cash to be made. DC Fawcett VREIC says that simply be savvy and be prepared for a land ride like no other. What’s more, don’t expect it to be simple; it is not as it looks on TV. Work it out, the amount that you are ready to spend for it, down to the last dollar, and have as a feature how much risk exposure you are all set to take up. Cost out the expenditure of conveying a transient advance, assessments, utilities and upkeep on the home for up to a year, together with your material expenses and work. Take a gander at practically identical deals in the market to perceive what the presumable deal cost. When you are done with monetary arrangement, with a sensible edge for hazard, start looking for homes that meets your financial plan. Try not to let an immense fixer-upper with possibly bigger returns tangle your math. It is one of the most important things and without it, you could fail irrespective of how much ever experience you have. You need to ask a lot of questions and answer it right, if you are considering flipping as your target. Is this an officially settled territory with rising costs? Is this a range with great schools that will pull in families? Is this a group prevalent with retirees? Knowing your market will help you to pick the most attractive home and it ought to help you comprehend what your overall revenue will be. Each area has a not-to-surpass cost. Getting your work done on late deals and normal days on market can give you a thought of to what extent to hold the property before flipping. Maybe you need to lease it for a year or two until the area truly takes off, or do a snappy redesign on the grounds that the area is exceptionally focused. If flipping is that easy then everybody would do that, however, there is no denial about the good money to be made, if you are following certain guidelines of DC Fawcett who is a real estate entrepreneur, proprietor of virtual real estate investing club and author of several books. Follow the aforesaid guidelines aptly and you are sure to make it high. Having held number of seminars which throw light on demanding real estate concepts, stay updated to this blog and equip yourself with the best knowledge to get into a realty dealing which is scam-free. DC Fawcett VREIC is a real estate entrepreneur come trainer, helping all real estate fervents to achieve their goals by means of his seminar and camps. In addition, he also teaches how to develop a real estate business and produce different income streams. Dc Fawcett, the founder of the Virtual Real Estate Investing Club, gives a fair idea in his blogs about going for the Flipping Houses . Also, one could go through these blogs to understand the real estate scenario better.